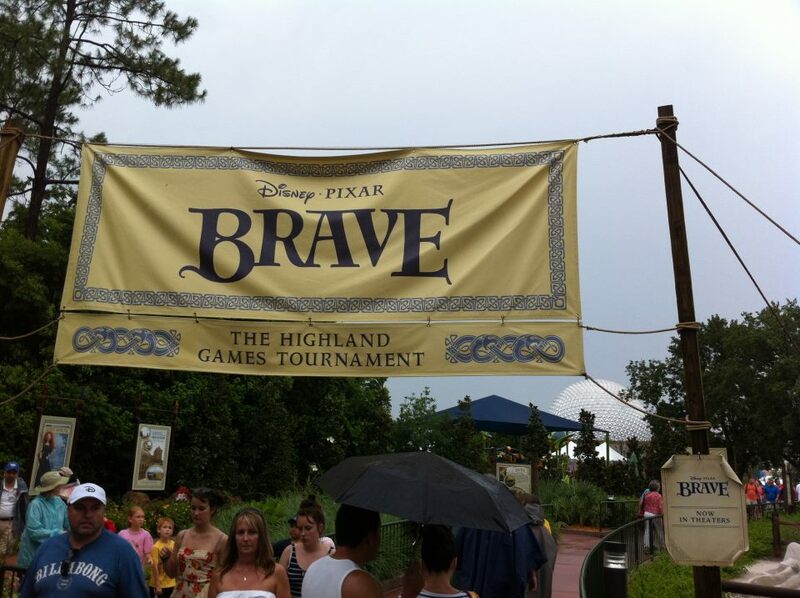 Yesterday a geeky dad (and Scottish descendant) I know was kind enough to send me pictures of The Highland Games Tournament attraction at Walt Disney World’s EPCOT, celebrating the release of Disney•Pixar’s Brave . But if you want to enjoy this attraction, act fast! It’s only open through July 8th! These pictures were taken on June 22nd but because of rainy weather, the area was closed. 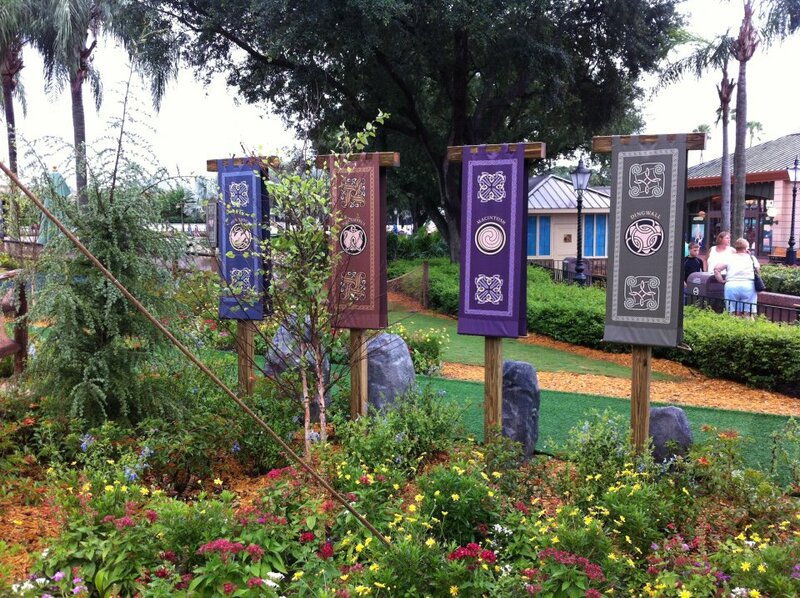 The Highland Games Tournament area is on the Rose Walk between Future World and World Showcase at EPCOT. Photo: Andrew McNabb, used with permission. The area is decorated with banners celebrating the clans featured in the film. Those who participate in the games will be assigned a clan to represent. Photo: Andrew McNabb, used with permission. The kids can try out great tournament games like a mini-caber toss, haggis flip and (of course) archery. The game setups seem pretty realistic. Photo: Andrew McNabb, used with permission. Are the lines too long for the tournament activities? That's okay, enjoy the playground area instead! Photo: Andrew McNabb, used with permission. 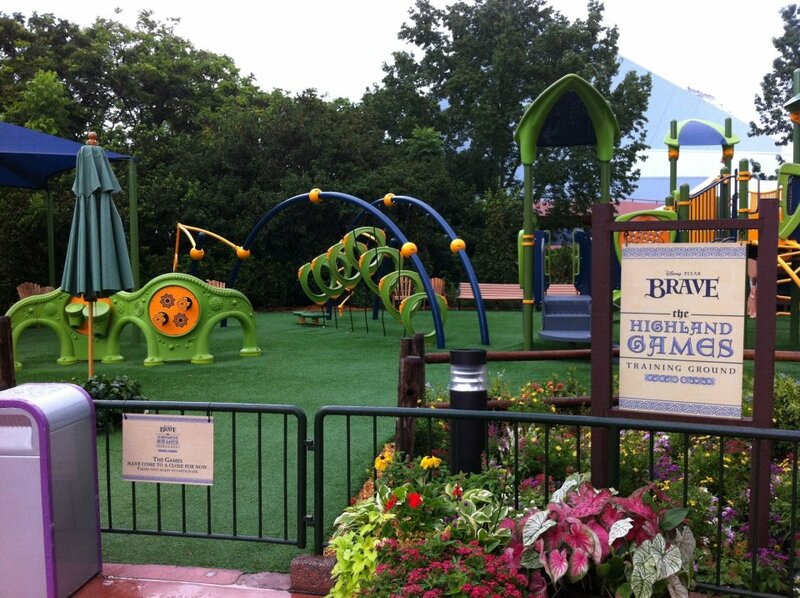 There is an area of Future World that is always changing with Disney featured films and television. 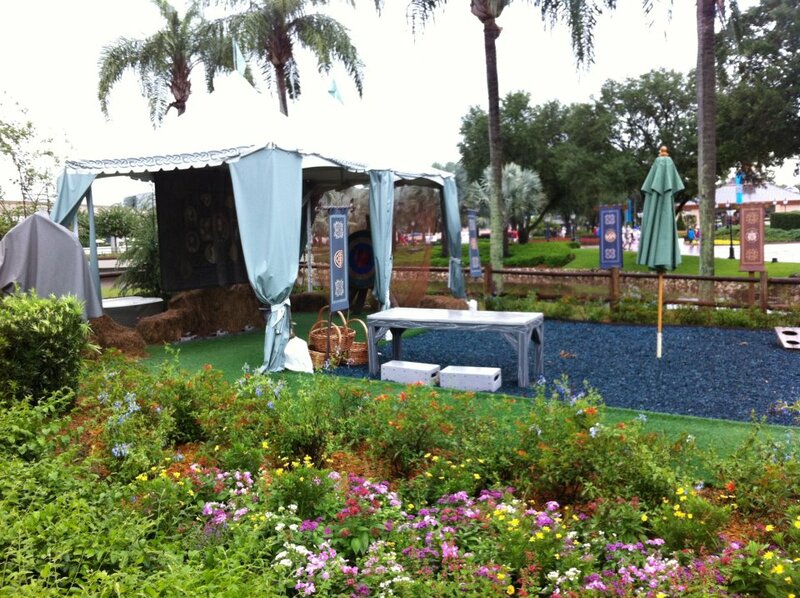 A year ago it was a landscaped foliage version of Mater and Lightning McQueen celebrating the release of Cars 2 . 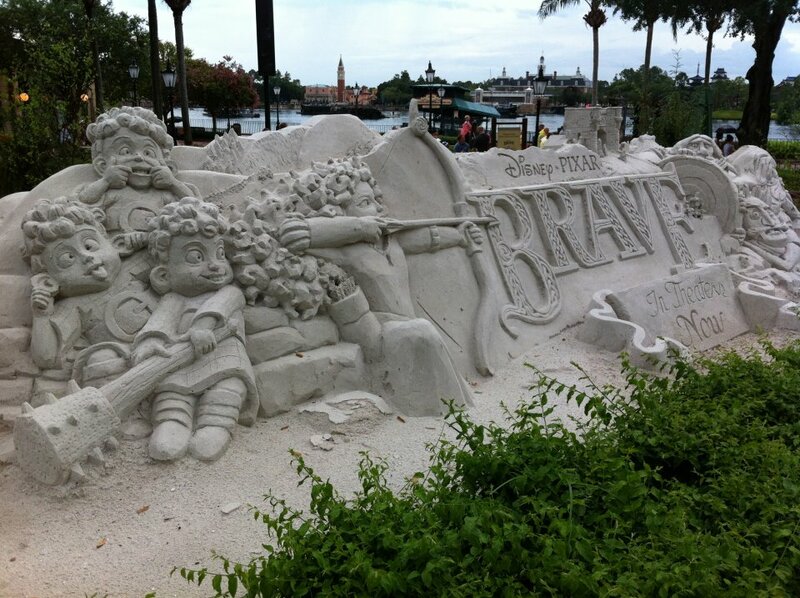 This weekend it’s a sandsculpture celebrating Brave . Photo: Andrew McNabb, used with permission. Patricia Vollmer is the proud mother of two geek sons, ages 13 & 16. She is a meteorologist with the Air Force Reserve and is currently assigned to the U.S. Air Force Academy. Patricia blogs about her military family's life at Ground Control to Major Mom. Home is always where the Air Force sends her family, which is currently in Colorado Springs, Colorado. Hobbies include running, despite no one chasing her, sharing her love for Disney and Star Wars, and exploring the world with her boys. Ask her why the sky is blue at your own risk.